Each package contains four fan vibration isolators which are compatible with standard fan screw holes and fans with open corners. 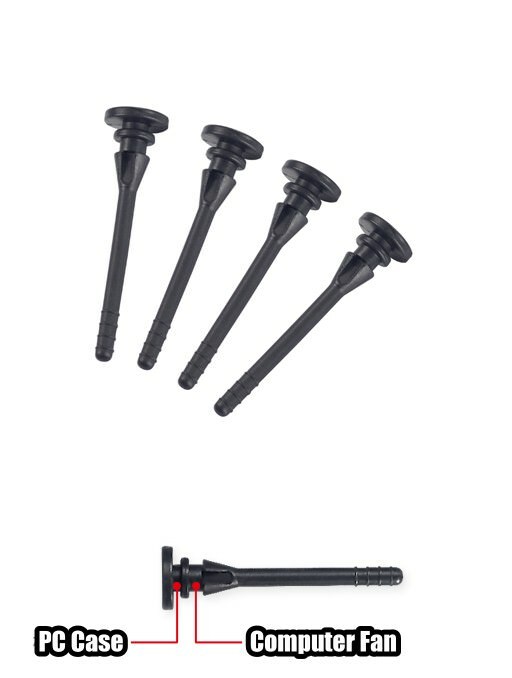 The standard fan screw hole size is 7/32" (5.5 mm). 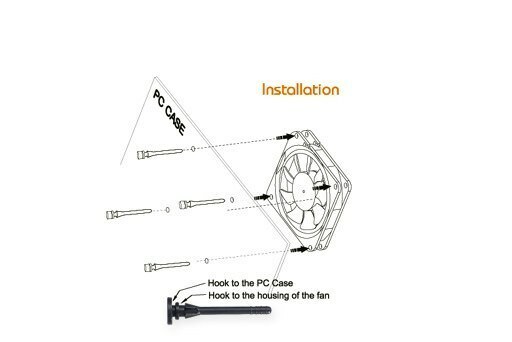 Please double check your fan and case for compatibility before purchasing. These fan mounts work with our 80mm, 92mm, and 120mm case fans. They don't work with 60mm case fans since 60mm fans have a smaller hole than the 7/32" standard fan screw hole. "Delivery was spot on. Thank you." "Noctua fans only come with 4 anti-vibration "screws", and I have a tendency to break them -- so I ordered a bunch of these black ones as spares. I've used 20 so far with no breaks! The extra length makes them easier to grab and pull in tight spaces, too." 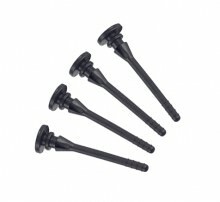 Click the button below to add the modDIY Rubber Fan Mount Screws D (4 Pack) to your wish list.